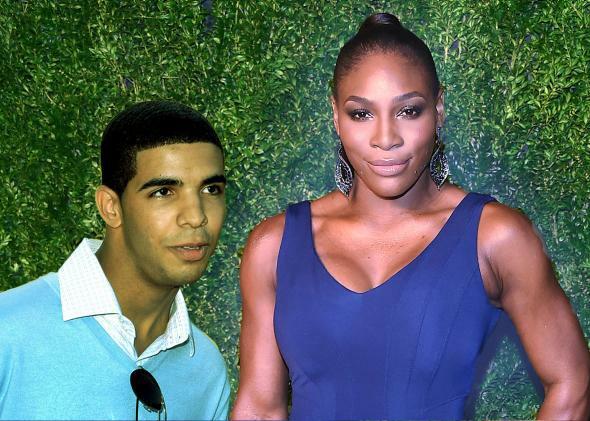 Serena Williams dating actor Aubrey Graham: Champion seen with less successful man. Aubrey Graham and Serena Williams. Mega-successful tennis star Serena Williams may be dating a former Canadian teen actor, TMZ reports. Williams is said to have been spotted canoodling with the handsome “boy toy,” Aubrey Graham, after winning a tennis tournament in Cincinnati. Williams, 33, has won four consecutive Grand Slam tournaments. If she wins the upcoming U.S. Open, she would become the first tennis player since 1988 to win every Grand Slam event in a single calendar year. She has won 21 Grand Slam tournaments in total and has a strong chance of becoming the most accomplished tennis player of all time before she retires. Graham, 29, made his television debut in 2001 as “Joey Tamarin” on a Canadian crime drama called Blue Murder. He is a native of Toronto who has also received limited recognition for his work as a musical entertainer who performs material written by others. Williams’ dalliance with a less accomplished partner, to many, may be reminiscent of elite London human rights lawyer Amal Alamuddin’s infamous 2014 marriage to an American actor who never graduated from college and once played a character named “Kip Howard” on the series Murder, She Wrote.